Previously in this blog series, we went over the background information about how human-centered design functions. In this installment, we will be learning how and why the EMC decided to implement human-centered design in our workflow here, and what kind of things we’ve done using the process. Jen Adrian working with her Advanced Seminar team. 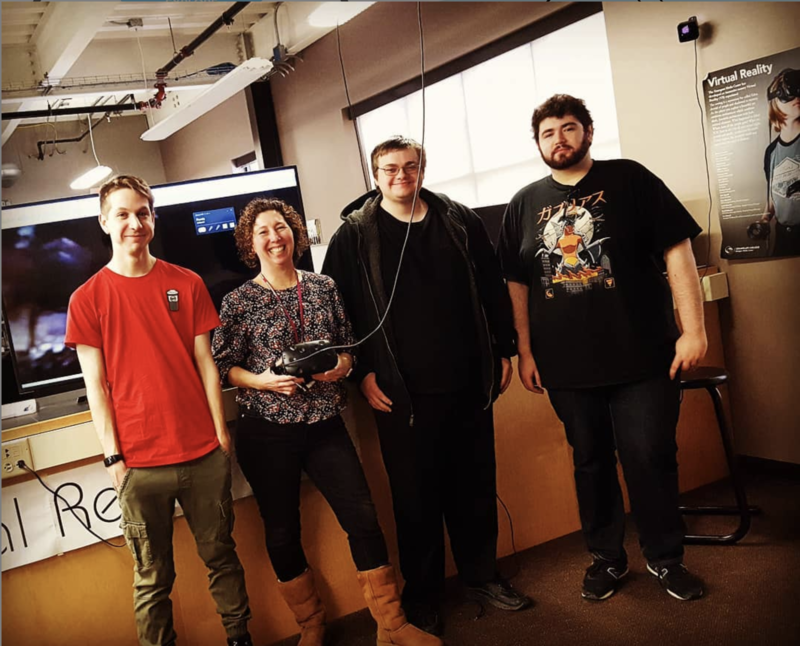 The first project to officially incorporate the human-centered design process was Summer 2018’s Empathy Project, a VR art installation intending to evoke empathy through immersive storytelling and measure the impact it might have on a user by allowing them to experience what it might be like to be deaf. Compared to other projects at the EMC, quite a bit changed when the HCD process was implemented. “We allowed time for conceptualization, to iterate on concepts. We did not fly out of the starting gate and have a solution. We entertained ideas. We did some exploration on campus around being deaf to help the team understand what it feels like to be deaf. This helped us feel empathy for those that are deaf,” said Adrian. 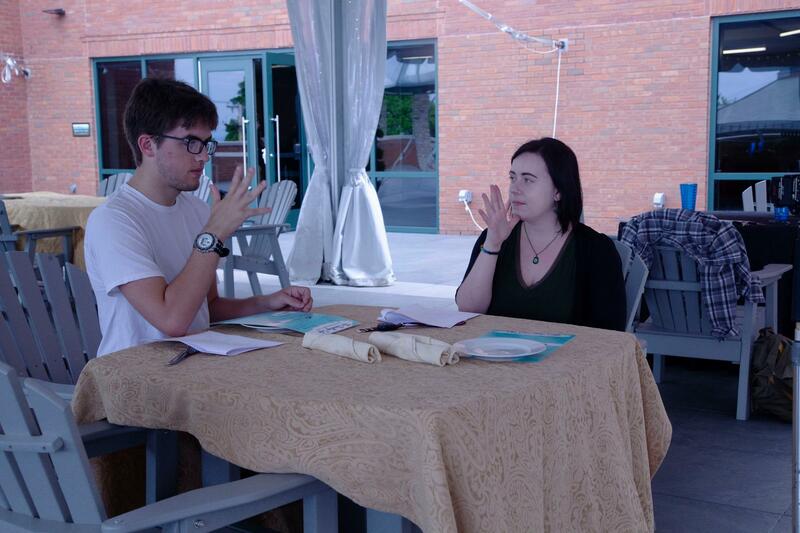 Members of the Empathy Project team learn sign language. To learn more about the Empathy Project, check out this blog. Next, the EMC hosted an Advanced Seminar class for Champlain students. This class was intended to help students become familiar with the human-centered design process and gain valuable skills for their future careers. They learned about pitching ideas and learning how to “tell the story” of their process, an essential part of HCD. This class created another prototype of the Empathy Project by looking at what worked and what didn’t work during the first iteration. Sample slides from the Advanced Seminar class. This semester, the EMC is implementing Human-Centered Design into several of our ongoing projects. For more information about those projects, please follow us on Facebook or Instagram. ← What is Human-Centered Design?